This “Kerrygold Butter Pound Cake” was originally supposed to be Imperial Pound Cake, a vintage pound cake made with margarine. I did indeed bake the margarine version and it was surprisingly great. Despite the tight crumbed, soft, dense, texture, I couldn’t post the margarine recipe without trying it again using butter. The butter version was even better. The margarine version, which was originally made in a tube pan but which I halved, had a texture similar to a Sara Lee pound cake and a very evenly browned crust. This photo shows the margarine version. But even with the nice texture, I really missed the flavor of butter and didn’t care for the palm oil flavor of the margarine. Again, here’s another photo of the margarine version. I was very happy with its shape. Too bad about the flavor. 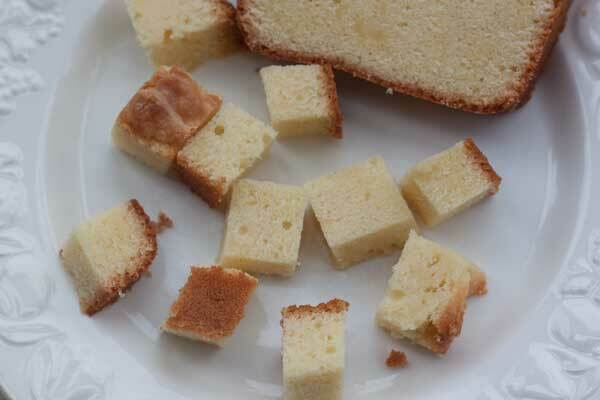 The flavor of the butter pound cake (pictured below) was better than the flavor of the margarine pound cake and also had a texture similar to Sara Lee’s. As far as brand’s of butter go, I chose Kerrygold because it has a lovely yellow hue, enough salt so that you don’t need to add any to the recipe, and because it’s widely available. In the future I might try this same recipe with other high end butters like Somerdale English, Plugra, Lurpak or one Vermont Creamery. I may go broke, though. Have you seen the price of butter lately? It spiked this week. Anyhow, here’s a picture of the sliced butter version. With both cakes, I got small patches of little gluey streaks which King Arthur attributes to over-creaming. I really did beat the heck out of the butter and egg mixture and used high when I probably should have used medium speed. I think I was trying to compensate for the lack of baking powder. That said, the streaks don’t bother me much. 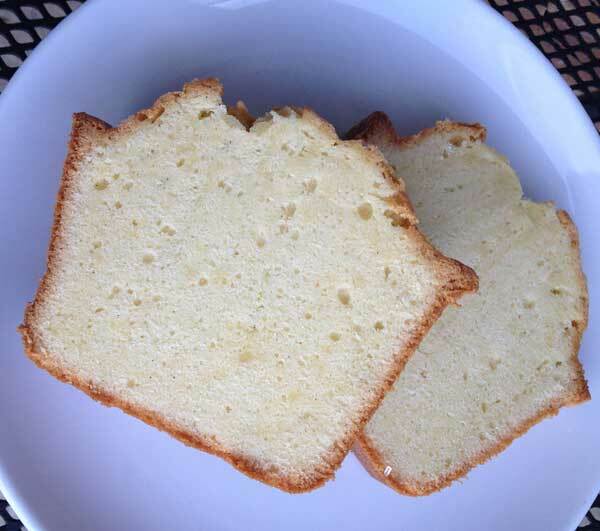 A basic pound cake recipe made with Kerrygold butter. Grease and flour an 8x4 inch loaf pan. I like to lay a strip of parchment down the center for easy lifting. In the bowl of a stand mixer with the paddle attached, beat the butter until creamy and smooth. Add the confectioners' sugar and beat until creamy, scraping sides of bowl often. Add the vanilla and beat until well blended. Add one of the eggs and beat on low until incorporated, then increase speed and beat on medium for 30 seconds or until smooth. Repeat, adding second and third eggs one at a time and beating until smooth (about 30 to 40 seconds after each egg is mixed). Remove the bowl from the mixer stand and sift in the flour. Stir with a heavy duty scraper until flour is incorporated into the batter, then put the bowl back on the mixer stand and beat with the paddle for about 10 to 20 seconds to ensure the flour is completely blended. The batter should be fairly thick. Spread it evenly in the pan. Bake in lower third of oven for 60 to 70 minutes (check at 60) or until cake is brown and crusty and a skewer inserted in the center comes out with moist crumbs. Let the cake cool for about 10 minutes, then loosen the sides gently without removing from the pan. Let it cool in the pan for another half hour or so, then remove from the pan and let cool for several hours. 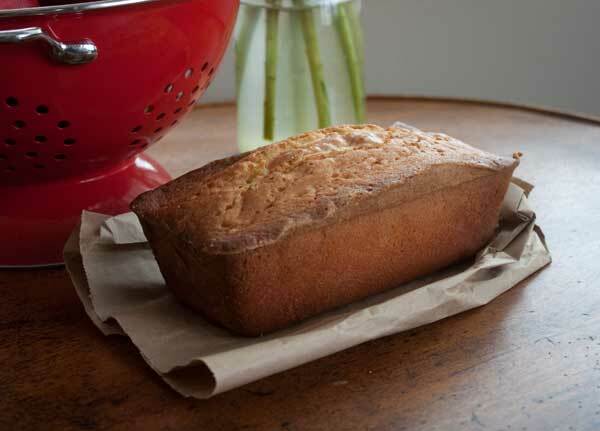 For a more Sara Lee like texture, wrap the completely cooled pound cake in plastic and freeze overnight. Let thaw, then slice. U used Imperial. The only other brand that Albertsons offered was Blue Bonnet and it had the same amount of fat in it as Imperial. I do not even own a scale so I never measure my flour. I did use the spoon into my cup method though instead of scooping. That method lessens the volume a bit. I ate a piece with some raspberry jam on it and that was a lot better than just plain. My family loved it! I made mine with butter. My family loved the constancy maybe it was the cake flour. Any time i make a recipe with cake flour they love it. I also made a little lemon glaze on top. Heidi, did you sift the cake flour before you measured it? If you sifted it and measured by volume, your 1 1/2 cups of flour would have only weighed a bit over 5 ounces and you would have been using a lot less flour than I did. 1 cup sifted flour weighs about 3 1/2 oz, while 1 cup unsifted weighs 4. If you weighed the flour or sifted after measuring, there wouldn’t be an issue because 6 oz is 6 oz. But sifting changes the fluffiness of the flour and would mess up the volume measurement. The off-flavor was probably the margarine. What brand did you use? 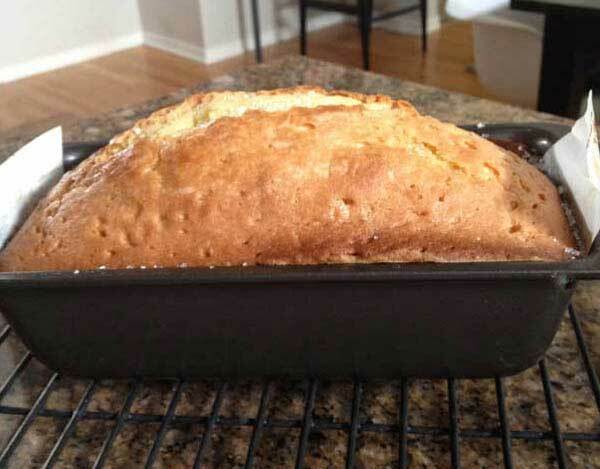 Ok…I made the margarine pound cake tonight. First of all, I can’t get over how inexpensive margarine is! It was $1.00 for a pound! That was a nice surprise. I made 2 loaves . They did not turn golden brown at all. My pans are dark non stick Caphalon so I was surprised the loaves didn’t brown. I personally liked the texture but my husband didnt. It’s a lot different texture than a butter pounf cake. It was fluffy with a tight crumb. Kind of velvety. I’m sure that was also due to the cake flour (that i sifted) and powdered sugar. The flavor was….ummm…just ok. I used vanilla extract and also a splash of Adams butter extract. I’ve never tasted margarine so I’m guessing the off flavor was due to the margarine. It wasn’t horrible but not nearly as good as butter. I wonder what the results would be with half butter and half margarine? I don’t think I’d make the all margarine recipe again. But it was a fun experiment. 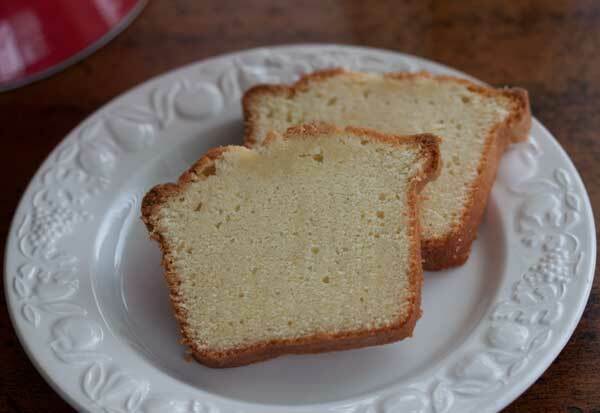 I wish you would make the margarine pound cake and let me know what you think. I am really sensitive to the flavor of palm oil and didn’t like that flavor in the background, but I don’t think most people are sensitive to that flavor. Also, the brand of margarine could have something to do with it. I used Land o’Lakes brand which advertises itself as being good for baking. The cheaper margarine brands might have a different flavor, but you have to make sure to get one with 100 calories per tablespoon. I think the ones with 70 calories per tablespoon might have more water. I’m totally curious about the margarine version of this cake. I’ve never bought margarine in my life but I bake with butter almost every day! I’ve always thought margarine sounded somewhat disgusting but I must say, your cake made with margarine looks delish. I’ve made many a good poundcakes but I’ve never been completely satisfied with the texture, which is very important to me. Maybe margarine would give me the texture I’m seeking. You kind of described the texture I’m after – tight crumbed, soft and dense. Was the flavor of the margarine version really that bad? I’m on a cooking/trying new recipes streak right now. Maybe it will extend to some baking this weekend. This looks good! Another one I want to try!